While the Venice Biennale of Art is a major event for the world of contemporary art and a major Venetian attraction, bringing in hundreds of thousands visitors— from art world VIPs to the interested tourist— over the course of its biannual six-month run, one should not make the mistake in thinking that when it isn’t in session that Venice has no contemporary art to offer. Anzi. From large institutions to galleries to alternative spaces, Venice has it all. 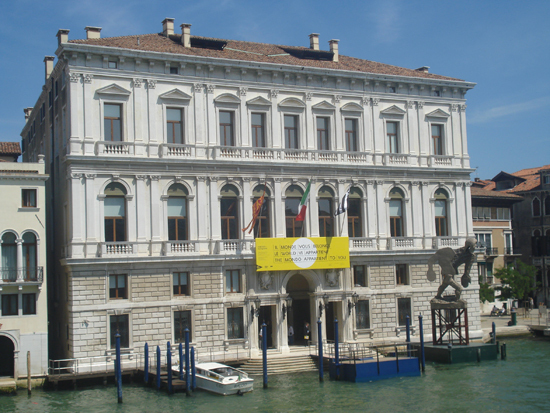 For large institutions of contemporary art, Venice has several: the Bevilacqua La Masa Foundation, the Peggy Guggenheim Collection, and the dual complex founded by art collector François Pinault, Palazzo Grassi and Punta della Dogana. The Bevilacqua La Masa Foundation has a history as long as the Venice Biennale, founded in 1898 as a space for displaying the work of important international artists as well as for young artistic research. It hosts exhibitions in its two locations, and also supports an artist-in-residence program for artists living and working in the Veneto with open studio events several times a year. 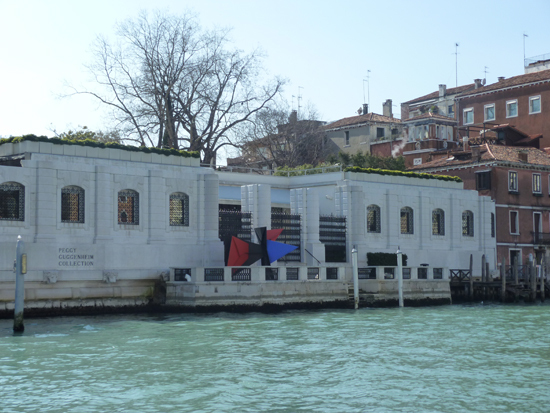 The Peggy Guggenheim Collection, while more of a depository for modern art, frequently has special exhibitions that show artists working in the later 20th century as well as today. 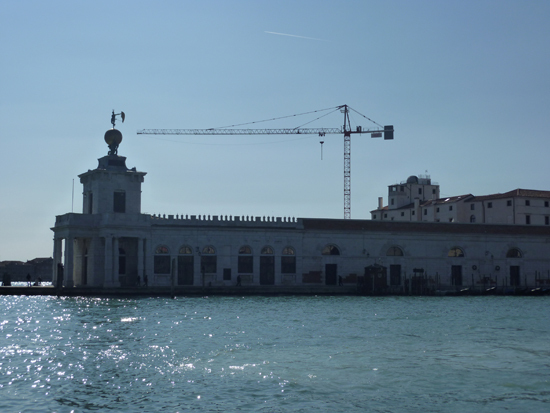 Palazzo Grassi and Punta della Dogana, however, are Venice’s real show stoppers as far as contemporary art goes. These two historic spaces (the first being a Neoclassical palace on the Grand Canal, and the second, the former Venetian customs house) exhibit the world’s top international contemporary artists, most of whom are represented in Pinault’s personal art collection, in truly fantastic settings. All of these institutions frequently host educational workshops, artist talks, screenings and other exhibition-related events, so it’s worth looking at their sites if you are planning a visit. See the links below. If you are interested in smaller, more intimate spaces, however, Venice still has something to offer you. 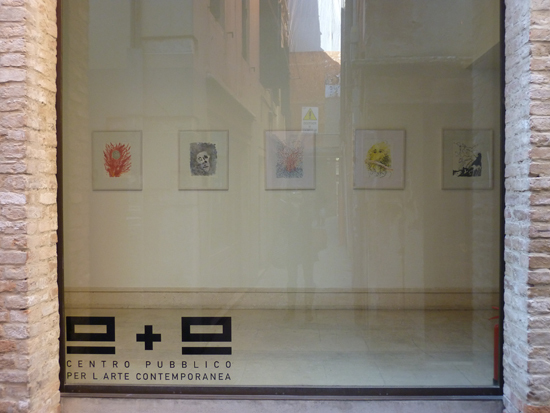 Some of the main commercial art galleries include Il Capricorno, Workshop Arte Contemporanea and Caterina Tognon. And, for the hipper among us, there are also two non-profit spaces that show more cutting-edge art and host concerts, screenings and the like: A + A and S.a.L.E. Docks. These are among the top places to find contemporary art in Venice, but rest assured that they are not Venice's only options. Lovers of contemporary art will be pleased to stumble upon other galleries, temporary in situ installations throughout the city and the occasional street art intervention while wandering Venice's winding streets. 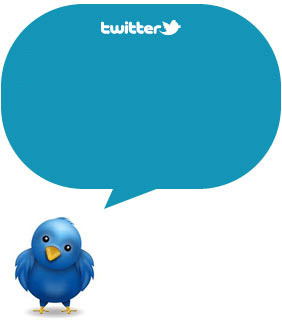 Follow us on Twitter,Facebook and Pinterest! Subscribe to our RSS!